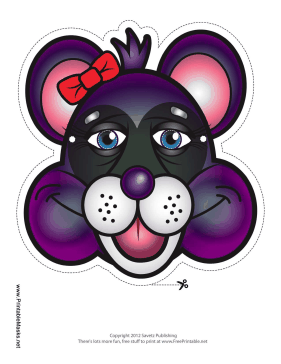 This purple raccoon has big ears, a violet nose, and a red bow in her hair. Be sure to add a striped tail to your costume! This mask is free to download and print.